The entrance to this front door is a walkway between the home and extended garage, a common design feature of homes in our area. While this entrance space is wide, similar entrances can be quite narrow and when the little space that's left for landscaping is planted, it can start to feel a bit confined. The owners of this residence said the shrubs that were in the landscape for years had become overgrown and were making their generous entrance feel claustrophobic. 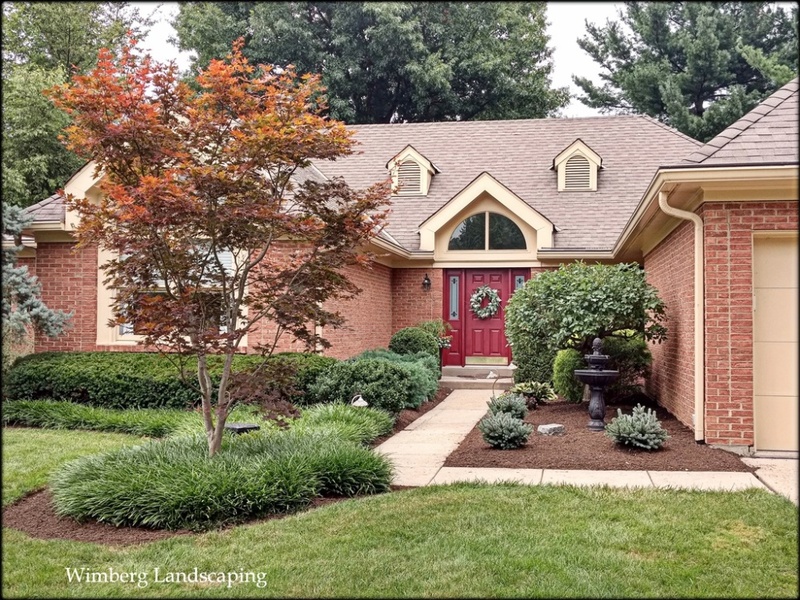 The oversized shrubbery was obstructing the view of the front door (unattractive and a safety concern) and focal points or areas of interest were also lacking. Some simple editing opened up the design nicely. The fountain was brought forward to create a nice focal point at the beginning of the entrance and smaller shrubs, in scale with the surrounding space, were added. Now this home has an entrance that is inviting with a generous feeling of space.